In order to track visitors to your blog posts the best tool you can use is Google Analytics. you can sign in in Google Analytics with your google blogger username and password. 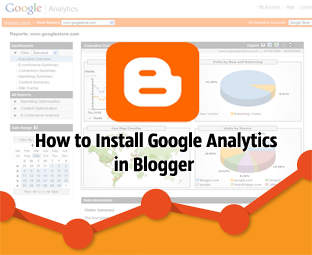 How to Track Visitors to a Blogger Blog Using Google Analytics? Go to Google Analytics Homepage by here and Sign In. Click on the "Sign Up for Google Analytics". Enter your Blog URL and blog name when asked. Now Login to Blogger account. Go to "Template" and click on "HTML". Now Paste the copied code before </body> and save changes. Now open Google Analytics page and click on test to check if you have properly entered the code. Click view reports to check details on Google Analytics.